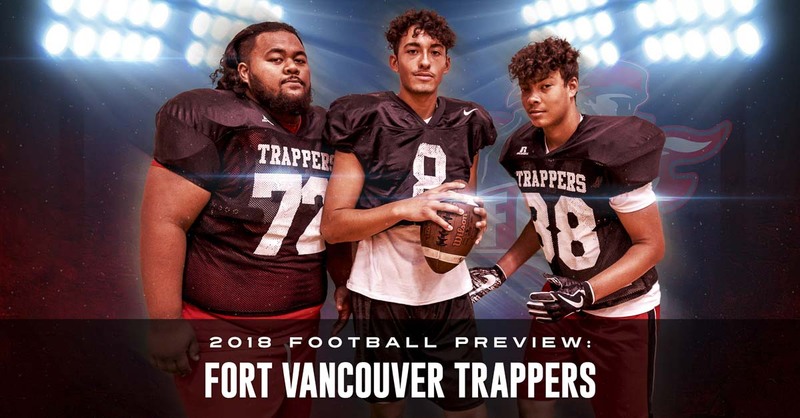 Jonavin Salavea, Isaac Martinez and Elimu Jackson believe in the present and future of the Fort Vancouver football program. As they improve their football skills, they also are buying in to a philosophy that teaches them to be better students, better people. Photo by Mike Schultz. Edited by Andi Schwartz. VANCOUVER — It is another fresh start. Only, this one feels a little different. 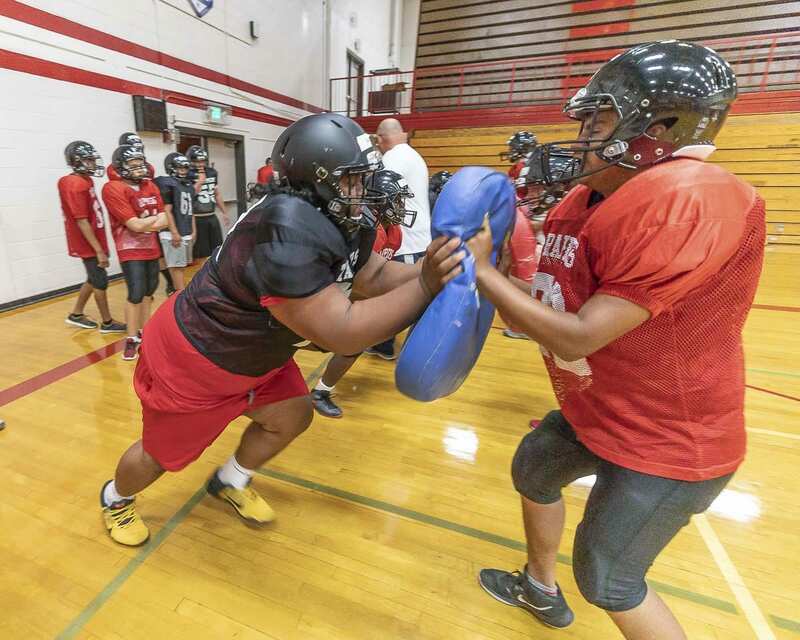 There were more than 40 football players out the first week of practice for the Fort Vancouver Trappers. That means there are plans for a varsity squad and a C-squad this season. That means there is hope. “A start to something new,” added Elimu Jackson, a linebacker and tight end. “Coach really wants to change the program,” noted Isaac Martinez, adding that he is hoping to get more athletes out for football and then help them improve. “I want them to be as good as they can be,” he said. 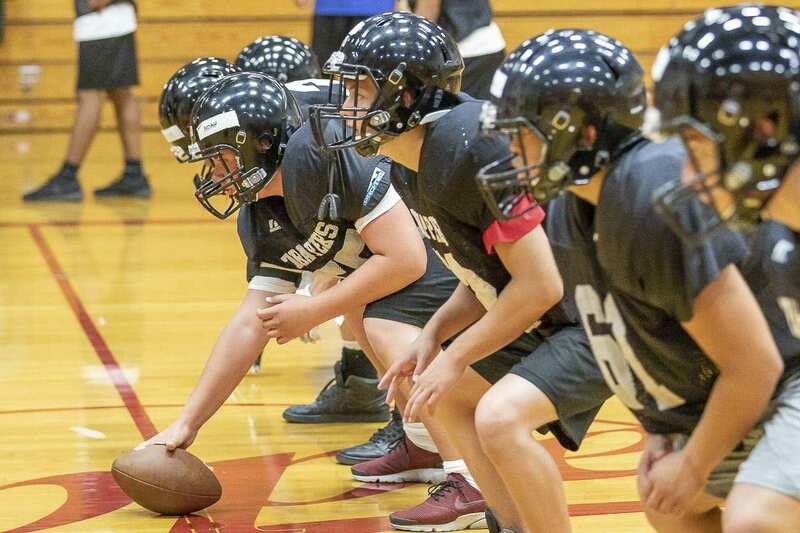 Being good on the field, in terms of wins and losses, might take some time at Fort Vancouver. But the latest new approach to the sport is focusing on being strong, being unified off the field. That is something that does not need time for improvement. That can start right now. Under new head coach Neil Lomax. 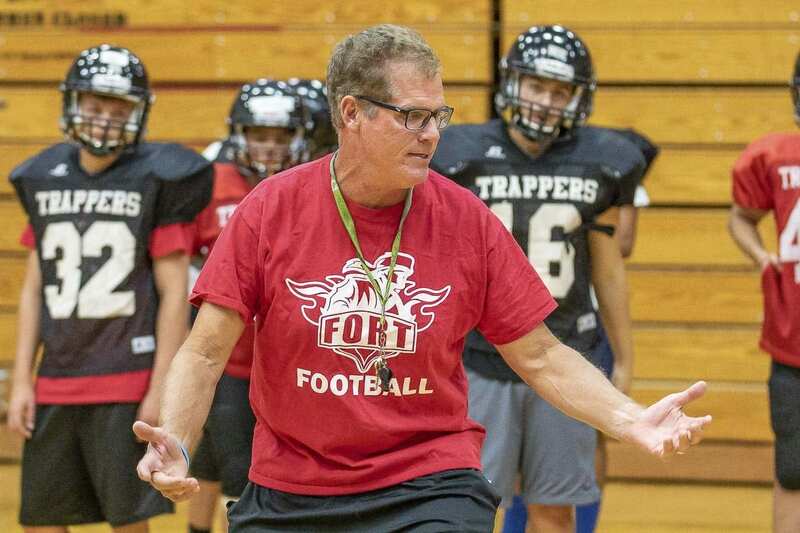 He is the fifth head coach in the past seven seasons at Fort Vancouver. Lomax, the former NFL quarterback and a Portland State legend, has long been an assistant coach at the high school level, working in similar places where the wins were few and far between when he arrived. Which is why his top priority at Fort Vancouver has nothing to do with the scoreboard. “The No. 1 goal for the kids is to graduate high school. We can use football to do that,” he said. He preaches a word of the day. Dedication. Hope. Faith. Humility. Trust. Oh yes, trust. That is a big one. These player do not know Lomax’s history in this game. Well, they might now. But they were born long after his playing days with the Cardinals organization. These players just know he is another new coach. “Hopefully, they’ll trust me,” Lomax said. Hope has an impact, too. Lomax wants to inform his players that there is a future for them, no matter the score on Friday nights. If they put in the work, if they are committed to a common goal, they will prove to themselves that they can put in the work in areas of more importance than a football field. That has to be the Fort Vancouver way now. And if the players put in that work, the team will start to improve. A win, just one win, would be an improvement over last year. 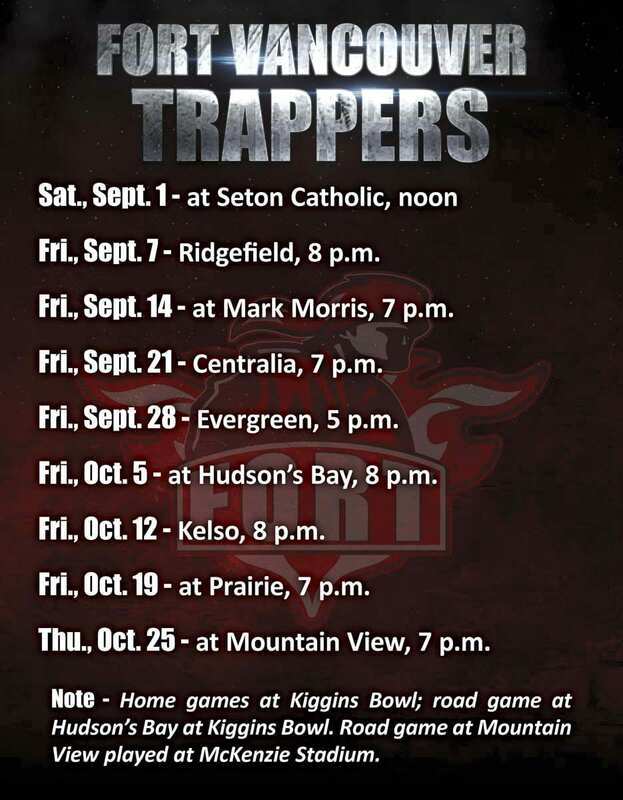 Perhaps in the near future, the Trappers get to a few wins in a season. Just keep working. A recent day showcased the word desire. That led to dedication. And then discipline. This is the new beginning for Fort Vancouver. 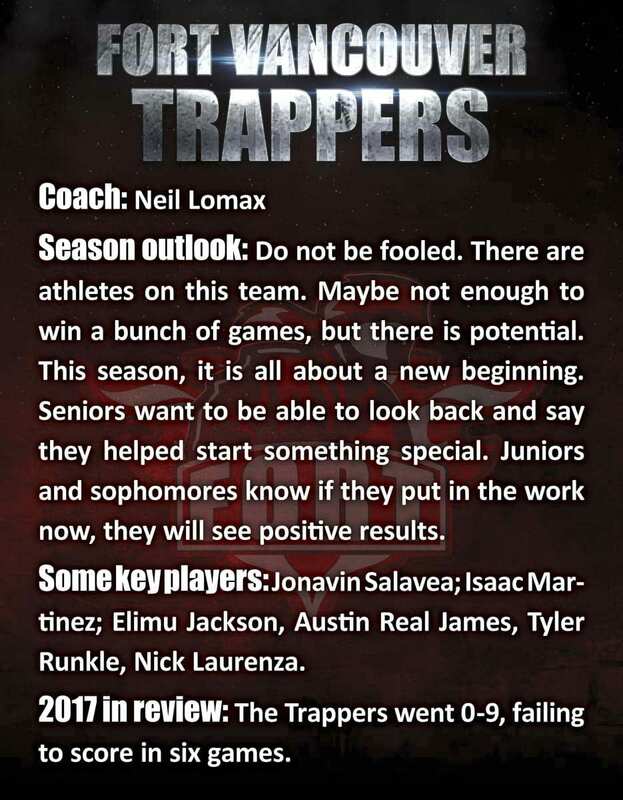 There are no promises about winning a set number of games this season, but the Trappers are a promising bunch because they value what their new coach is trying to teach them. “We want to give it our all, do the best we can, be more mature and be better people,” Martinez said. That would make for a winning season at Fort Vancouver.